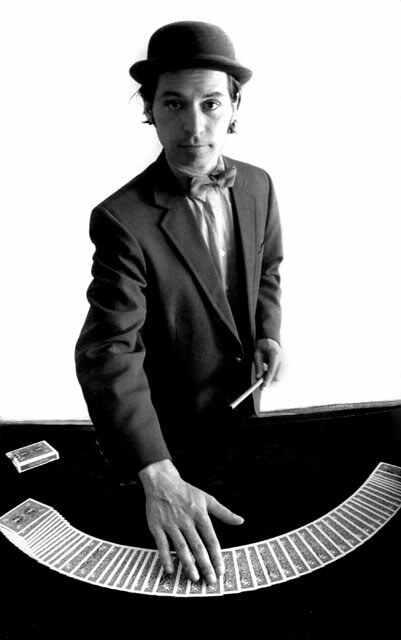 "As a magician, he is an artist. His silent routine to music has evolved over the years to a very funny and astonishing eleven minutes of perfection." "Thanks for the great show and incorporating our theme of Goal Zero in your presentation. Our Staff really enjoyed it." "There is no sham-bad comedian to remind us of the good old days of genuine bad comedians, instead Dante, the emcee, moves things along with lively patter... He gives a marvelous display of prestidigitation." "Dante has a fun and campy sense of comedy... and he can do some amazing things"
"Never has an impromptu artist's performance generated such excitement. Dante turned our corporate event into an engaging and festive atmosphere." "He's sly, mischievous, deceptive, elusive, tricky, sneaky, crafty, cunning, beguiling and absolutely wonderful besides being hilarious. Not to be missed!" "I’ve been known to plan my parties around Dante’s schedule. I find it’s just more fun if he’s there performing." "Thank you for your work at the meeting. You were a big hit." "An excellent show at the Kongsberg seminar we really enjoyed it." "Dante truly stunned his audience with trick after trick and non stop humor. A guaranteed crowd pleaser. People cannot believe their eyes." ... think a Benny and Joonish Johnny Depp impersonating Groucho Marx"
"It’s been years and they still talk about the time Dante came to our dinner and wowed us." "Dante's interaction with the audience is humorous and entertaining and he astonishes and captivates all with his amazing tricks. Definitely a must see!" "Unbelievable! I don’t know how many times I’ve seen him work and he still blows me away. I guess I’ll have to wait until next year's benefit to get another chance to catch him." 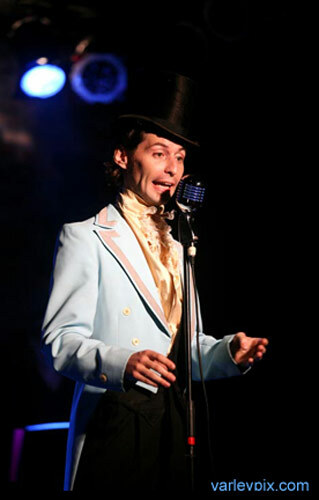 "I have received great feedback on your magic performance. Thank you for a great show!" "Vaudeville meets the new millennium... BRAVO Dante!"